MSc in Environmental Sciences, University of Kuopio, Finland. PhD in Environmental Sciences, University of Kuopio, Finland. Post doc University of Copenhagen, Denmark and University of Kuopio. Marie Curie fellow, Lund University, Sweden. Post doc, University of Kuopio, Finland. Associate Professor, University of Copenhagen, Denmark. Head of Section of Terrestrial Ecology, Department of Biology, University of Copenhagen, Denmark. Rinnan R., Steinke M., McGenity T., Loreto F. (2014) Plant volatiles in extreme terrestrial and marine environments. Plant, Cell & Environment 37: 1776–1789. 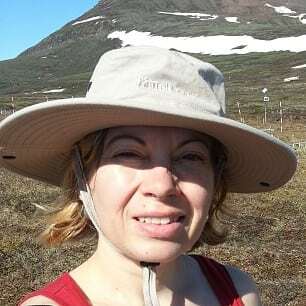 Faubert P., Tiiva P., Rinnan Å., Michelsen A., Holopainen J.K., Rinnan R. (2010) Doubled volatile organic compound emissions from subarctic tundra under simulated climate warming. New Phytologist 187: 199-208. Valolahti H., Kivimäenpää M., Faubert P., Michelsen A., Rinnan R. (2015) Climate change-induced vegetation change as a driver of increased subarctic biogenic volatile organic compound emissions. Global Change Biology 21: 3478-3488. Rinnan R., Michelsen A., Bååth E. & Jonasson S. (2007) Fifteen years of climate change manipulations alter soil microbial communities in a subarctic heath ecosystem. Global Change Biology 13: 28-39. Rinnan R., Rousk J., Bååth E, Yergeau E., Kowalchuk G.A. (2009) Temperature adaptation of soil bacterial communities along an Antarctic climate gradient: predicting responses to climate warming. Global Change Biology 15: 2615-2625. Michelsen A., Rinnan R., Jonasson S. (2012) Two decades of experimental manipulations of heaths and forest understory in the Subarctic. Ambio 41: 218-230. The Danish Council for Independent Research, Sapere Aude DFF-Starting grant. Bidirectional exchange of reactive hydrocarbons between arctic ecosystems and the atmosphere, 2015. The Danish Council for Independent Research. Uptake of volatile organic compounds by arctic soil, 2014. Carlsberg Foundation: Chemical composition of soil and plant material as a key to understanding feedbacks to climate change, 2013. Villum Foundation. Young Investigator Programme. Arctic ecosystems under climate change: What controls emission of biogenic volatile organic compounds? 2012. The Danish Council for Independent Research Young Elite Researcher’s Award. 2010. The Danish Council for Independent Research, Steno Scholarship. Biogenic volatile organic compound emissions under climate change. 2009.